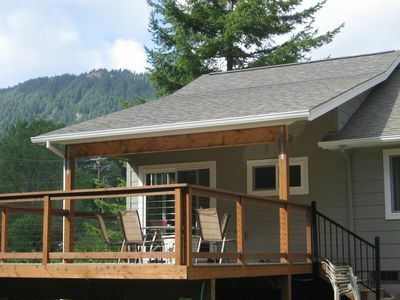 Come getaway at Pirate’s Cove Beach House! 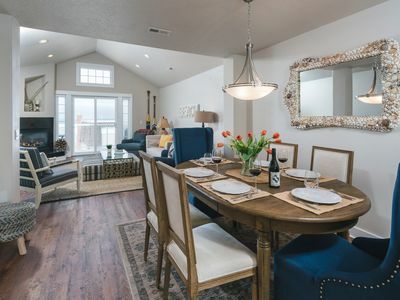 Featuring space for 12 guests, this house is large enough to accommodate multiple families, but cozy enough that a romantic couple feels right at home. 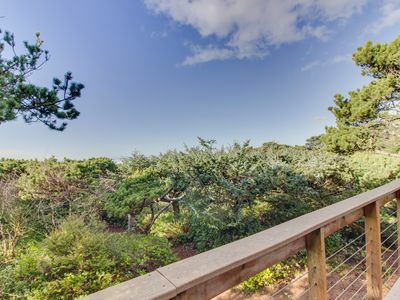 This charming 1937 beach house is in the heart of delightful Rockaway Beach. You’re in easy walking distance of everything! 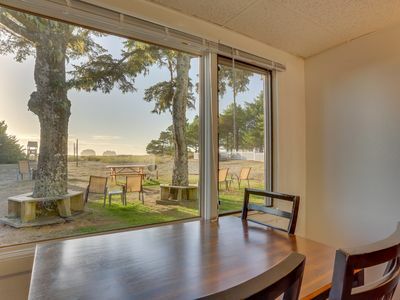 Walk just 5 minutes to the beach (6 small town blocks) or to the grocery store at the end of the street. With enough off street parking for up to three cars, you can easily stroll to the great cafés and shops in charming downtown Rockaway. 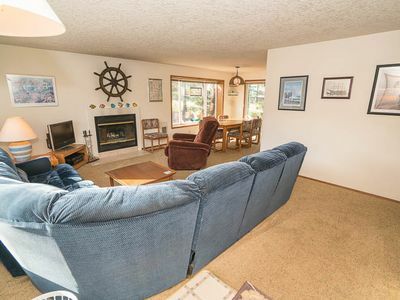 Once you’ve arrived at Pirate’s Cove Beach House, you can relax and indulge in seaside living. 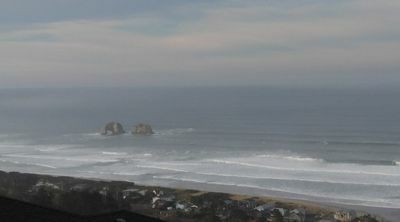 Rockaway Beach is a classic beach town with plenty of areas to explore. 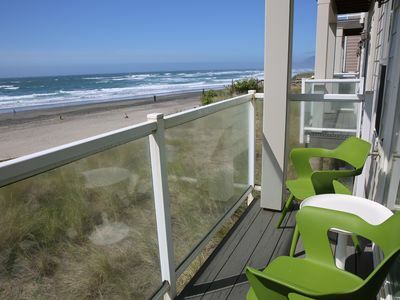 In addition, there are nearby fishing ponds, clamming beaches, and crabbing docks. 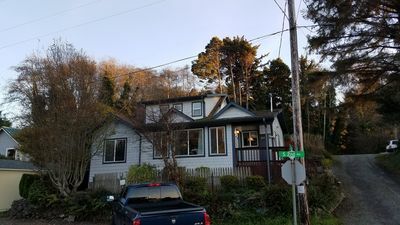 A short 15 minute drive to Tillamook lets you tour the Tillamook Cheese Factory, go antiquing, or explore the fantastic restaurants they have to offer. On your way back to Pirate’s Cove beach house, stop off and pick up some excellent seafood at the Fish Peddler in Bay City. 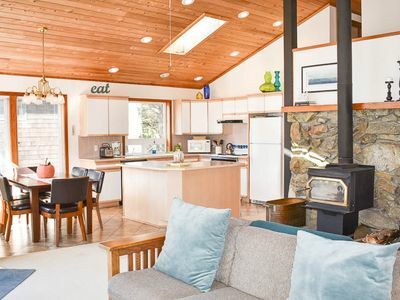 There is a fully stocked kitchen waiting for you to whip up a tasty meal. 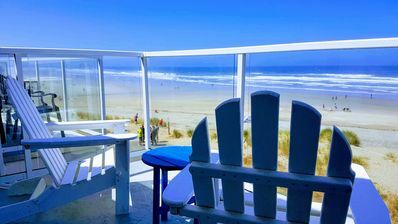 While you are here, enjoy beautiful ocean views from the second story, play board games, relax with a movie from our large vintage VHS collection, or bring blu-rays for the recently installed player. 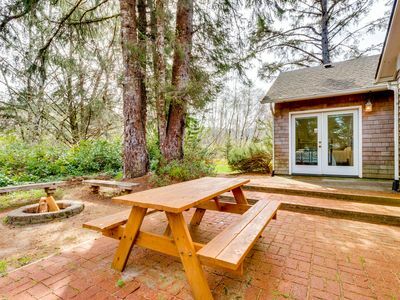 Whatever kind of vacation you need, this house is the perfect place to call your home away from home. The main floor has a queen sized bedroom, bunk room and two full bathrooms. 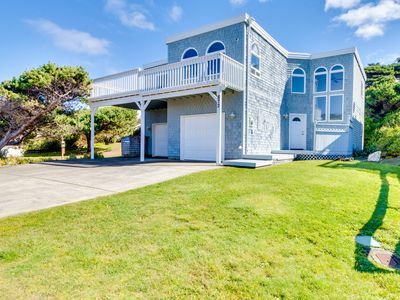 The second story has another queen sized bedroom with a peek of the ocean on nice days, a bedroom with a bunk bed and toddler bed as well as a large full bathroom. The living room has a newly added 40” flat screen TV streaming Netflix, a bluray player, and a VCR with an extensive VHS collection. This house is pet friendly; please let us know if you plan on bringing a four-legged family member with you. Note that is you plan on using the bunk room the sheets will be folded on each bunk - you will need to put the linens on the bed. Please only use those bunks that are needed to cut down on laundry. Also understand that the bunks in the bunk room are very high off the ground with no guard rails. They are not suitable for small children - most children over the age of 8 years old should be okay. Active or restless sleepers who may role out should not use the bunk room. 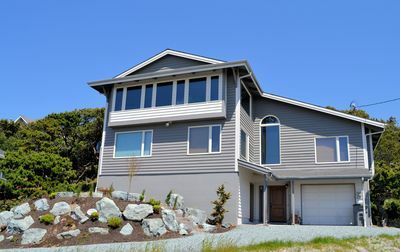 Oceanfront, dog-friendly house w/ ocean views & private trail to the beach! 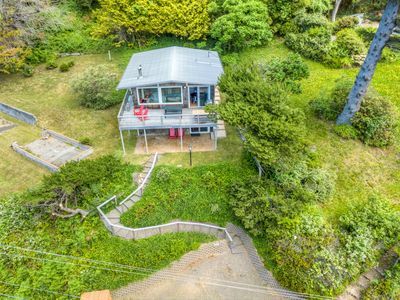 Dog-friendly and vintage-style home with easy beach access! 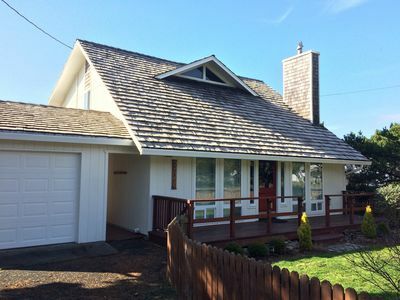 Dog Friendly - Beach Home in the Heart of Rockaway Beach! 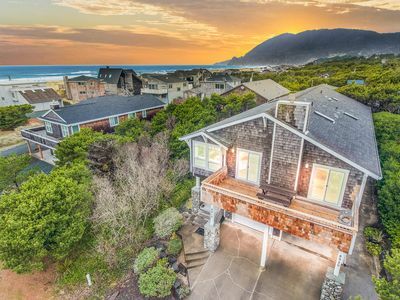 Beautiful Updated Beachy decor, Steps to town & sand! 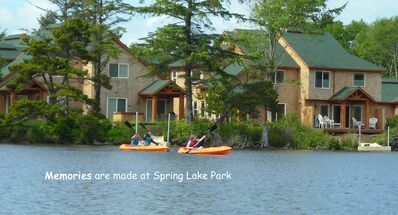 Special Summer Rates! 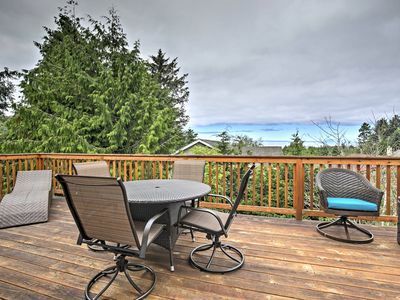 SERENITY BY THE SEA~NEW LISTING! 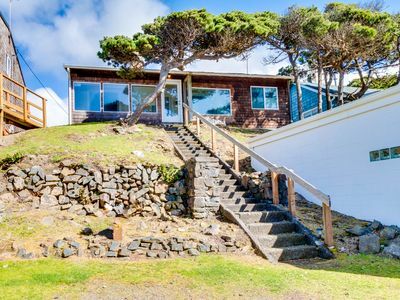 Spectacular views across from the beach! 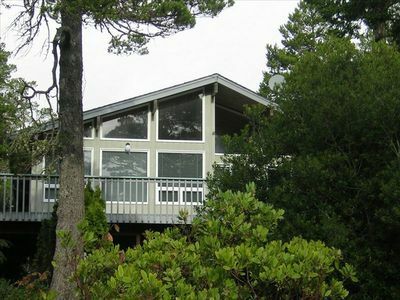 Three Bedroom, Two Bath Just Two Blocks to Golf or Beach in Manzanita! 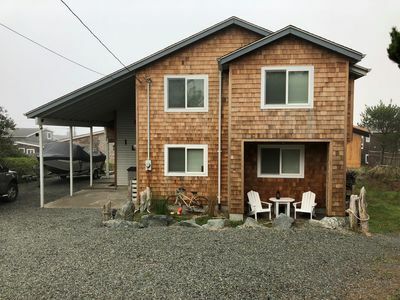 Family friendly house near the beach w/ a deck, game room, & beach bikes!